Dwelling: Pays for damage or destruction to your house and any unattached structures and buildings, such as fences, detached garages, and storage sheds. Personal Property : Covers the contents of your house, including furniture, clothing and appliances, if they are stolen, damaged, or destroyed. Liability : Protects you against financial loss if you are sued and found legally responsible for someone else's injury or property damage. Medical Payments : Covers medical bills for people hurt on your property. Medical Payments coverage also pays for some injuries that may happen away from your home, such as if your dog bites someone. Loss of Use : Pays for additional living expenses if your home is too damaged to live in during repairs. Most standard home insurance coverage pays 10 to 20 percent of the amount of your dwelling coverage. 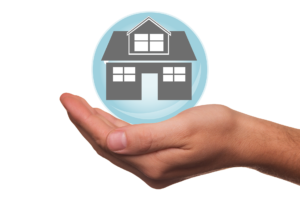 Guaranteed Replacement Cost: Provides the most complete coverage for your home. Your home insurance company requires you to meet specific underwriting rules and conditions to qualify for this coverage. For instance, you may need to increase your home insurance amount on a monthly, quarterly or yearly basis to keep up with the inflation rate. Inflation Guard Endorsement: Automatically adjusts your home insurance limits during your policy period so they are at 80 percent or more of your home's replacement cost, which is the amount most home insurance companies require you to have. This coverage is beneficial if your home's replacement cost is increasing with inflation. Scheduled Personal Property Endorsement: Also called a personal article floater. With this coverage, possessions, including jewelry, furs, stamps, coins, guns, computers, antiques, etc., are covered. Each article is itemized and detailed in the floater, and excluded perils also are outlined. Personal article floaters often do not have deductibles. Increased Limits on Money and Securities: Increases coverage amounts for money, banknotes, securities, deeds and more. Secondary Residence Premises Endorsement: Covers a secondary residence, such as a summer home. Insurance for secondary homes is not automatically provided by the home insurance policy you have for your primary or principal residence, so it's important to consider this endorsement if you own more than one home. Watercraft Endorsement: Expands personal liability and medical payments coverage for small sailboats and outboard motor boats only. Theft Coverage Protection Endorsement: If items from your motor vehicle, trailer or watercraft are stolen, theft coverage protection broadens theft coverage without requiring proof of forcible entry. Credit Card Forgery and Depositors Forgery Coverage Endorsement: Coverage applies if your credit cards are lost, stolen or used without permission, or if someone forges a check, draft, promissory note, etc. Certain restrictions apply and are noted in your home insurance policy. Flood, Earthquake, Nuclear Accident and War: To protect against unforeseen and uncontrollable events like these, you can purchase hazard insurance through your home insurance policy. Windstorm Damage: In certain areas (mostly coastal) of some states, standard home insurance coverage does not cover damage caused by windstorms and hail. Check your policy information to see if windstorm damage is covered in your area. Maintain upgrades: If something you renovated gets damaged—say, hardwood floors or a granite countertop—restore it to its upgraded condition. Cover interior repairs: If things like your floors, interior walls and fixtures get damaged, replace them. Protect your assets: You’ll have personal liability protection if you ever need to help your condo association cover a significant expense—like damage or a lawsuit. Is flood insurance required, and what kind of flood insurance is available? If you live in a flood zone and you have a mortgage, you may be required by the lender to have flood insurance. Depending on where your home is located, you may qualify for flood insurance through the National Flood Insurance Program. Some insurance companies also offer flood insurance. Keep in mind that your home could sustain flood damage by other means, such as broken pipes, even if it's not located in a flood plain, so consider this coverage if you are eligible for it. Most insurance companies offer earthquake insurance for an additional cost. This insurance is not covered on your homeowners, renters or condo/co-op insurance if offered, it is generally attached to your insurance policy as an endorsement.